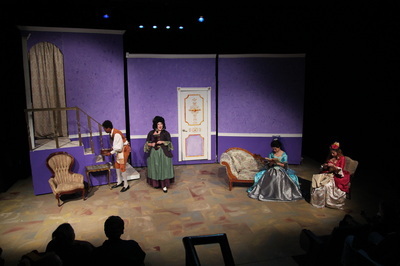 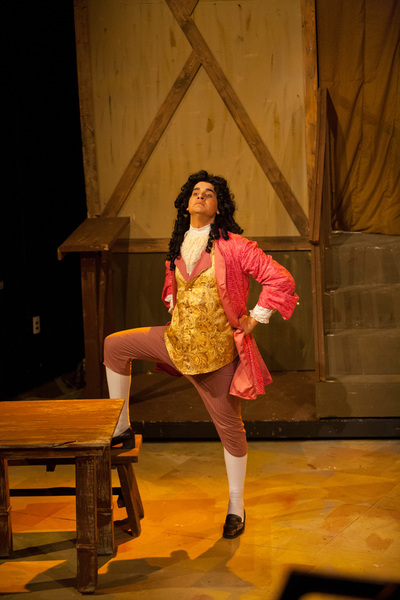 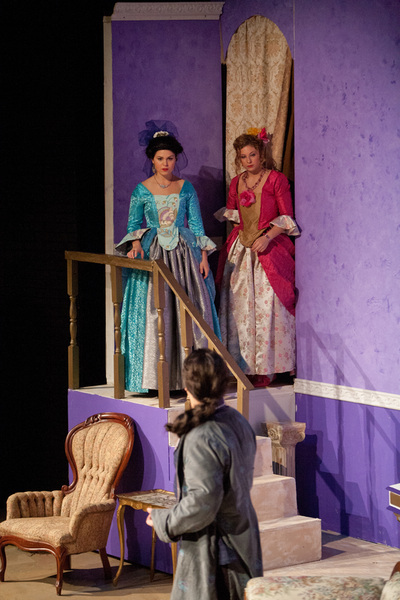 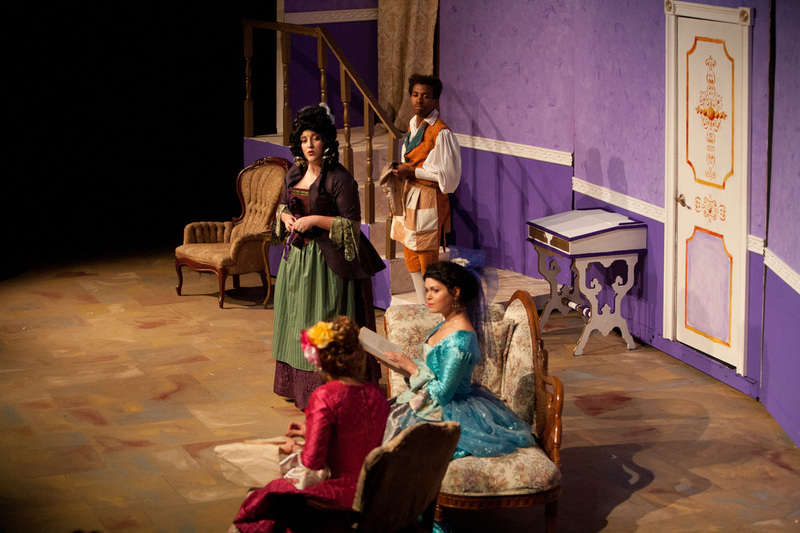 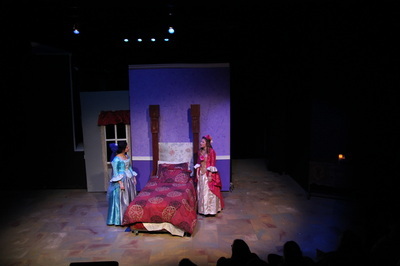 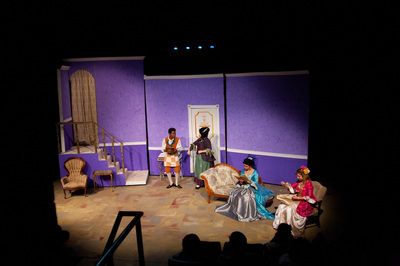 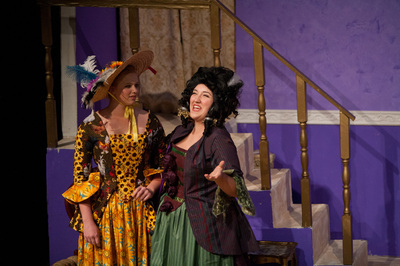 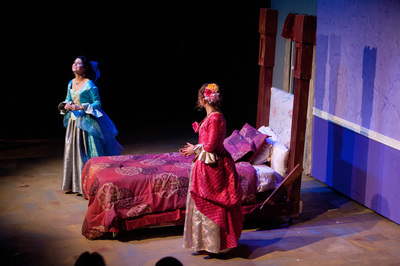 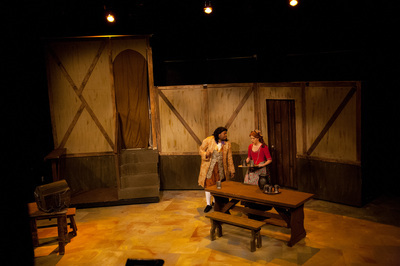 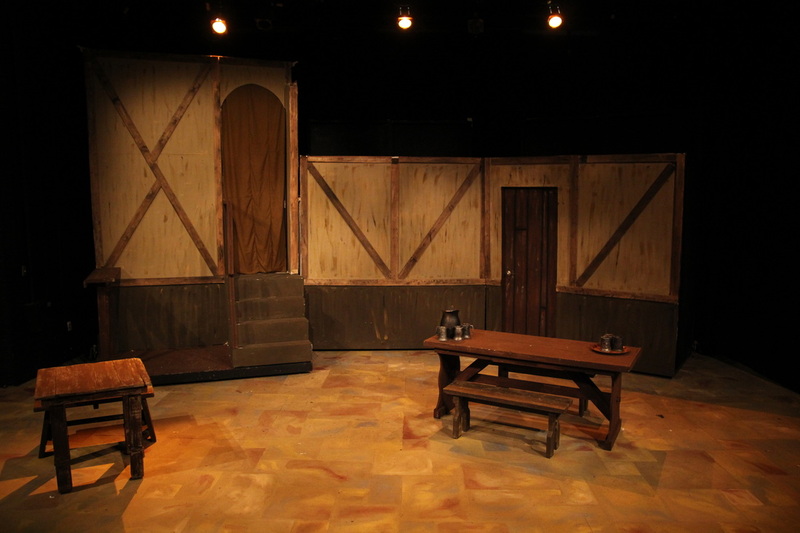 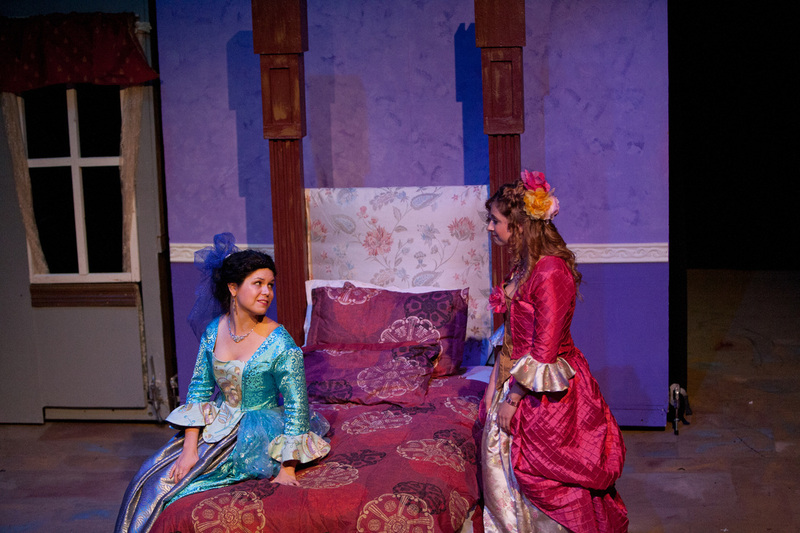 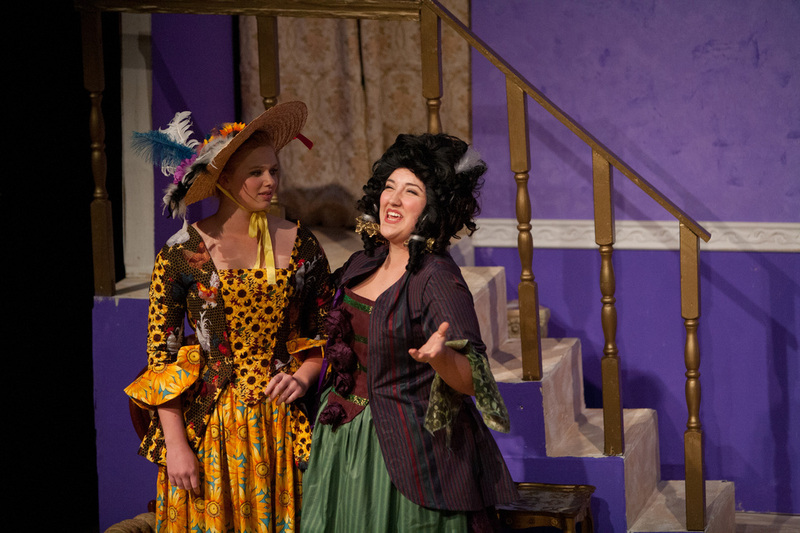 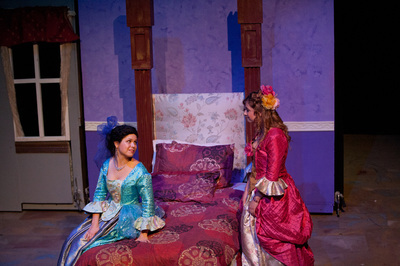 Beaux' Stratagem was produced in the Music & Theatre Arts Studio Theatre Space. 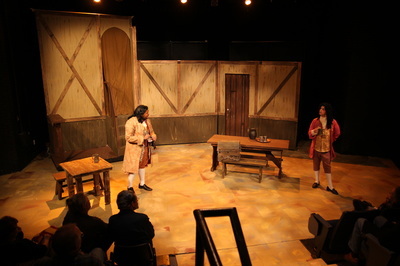 The space was built in the 1970s as a proscenium theatre, but has been modified to be more of a thrust space in recent years. 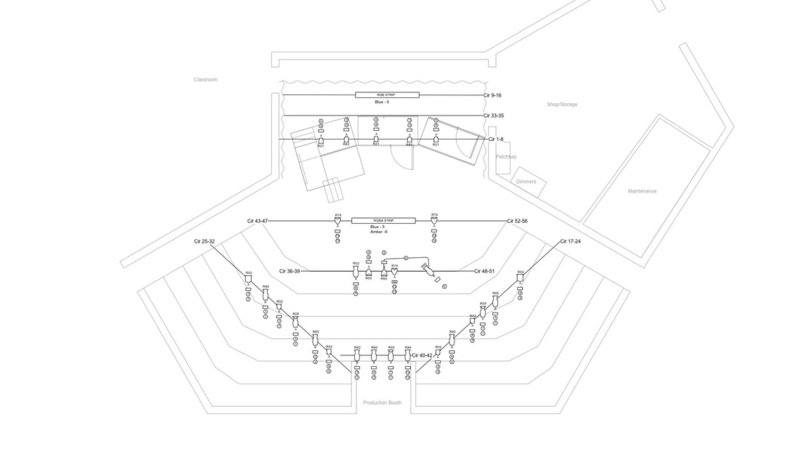 The lighting system is the system that was originally installed in the building when it was built and consist of 12 3kW dimmers and a two-scene preset board hardwired into it. 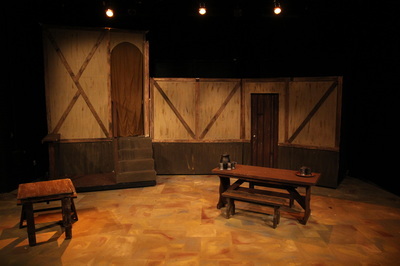 This system does not fully function and has been supplemented with 2 Leprecon dimmer packs and a Leprecon two-scene preset board. This mixed system makes for some challenges in lighting design, primarily when cueing as two separate manual fade consoles are being used in tandem to control different systems of lights. Added to this is the fact that if the older system is left on too long, various faders and dimmers stop working.